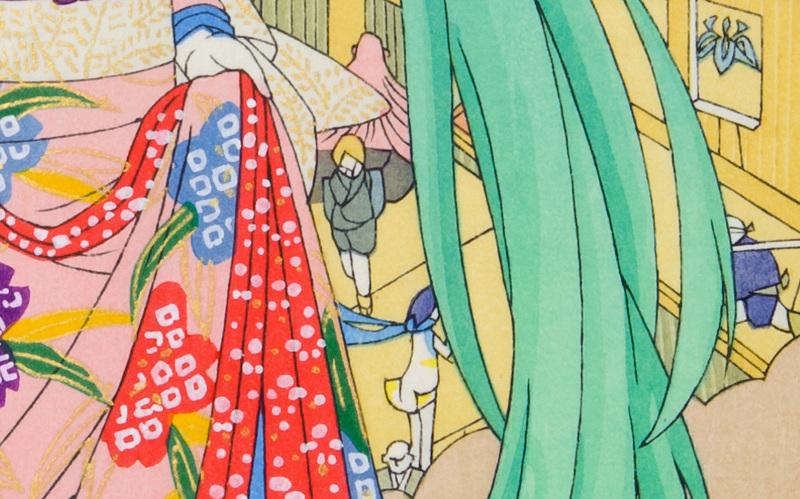 Dreams come true what Japanese famous anime characters and Ukiyo-e artisans who inherit Japanese traditional technique for four hundreds years from Era period, are now collaborating. They created "REAL" Ukiyo-e. 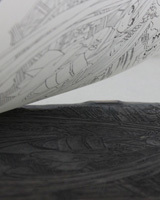 These Ukiyo-e are created by the best paper, it called "Washi" which is made by Living National Treasure. 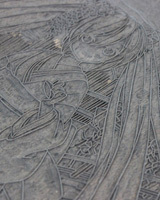 And also carving, printing and all progress to creating are perfect, because they increase to the limit. They did all of them handmade manually and politely. 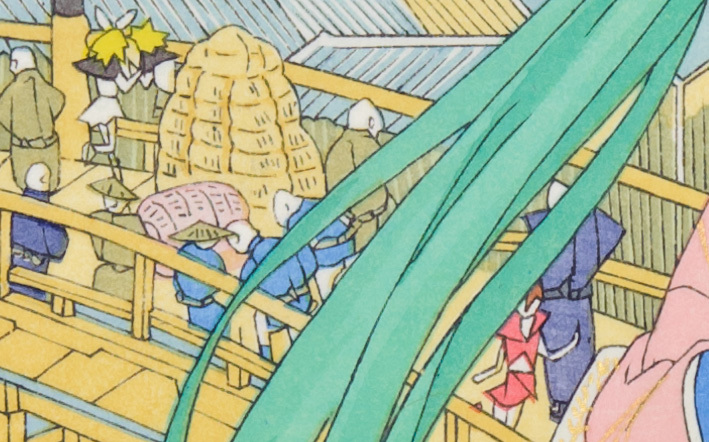 Ukiyo-e is Japanese precious cultural heritage and also evaluated from all over the World. So it's gonna be revived by the best technique and quality. 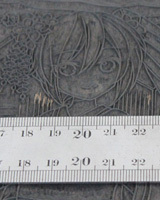 The blocks for printings are cut from cherry tree which is very unwavering and undistortion. 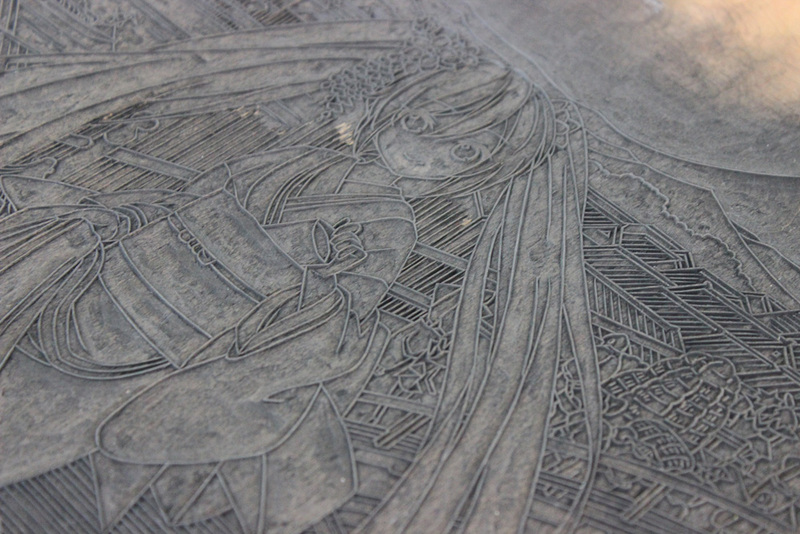 It carved for the block copy of contour line by small knife and then carving for a key block, and color blocks. 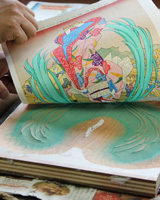 It depends on the numbers of colors, carver gets through with ten to twenty carvings for each Ukiyo-e politely. Printers are finishing them up to use the color of original pictures fidelity. They prints so many times, because they reproduces the small points and the background of gradations. 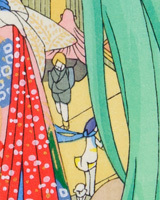 For anime characters, it's produced by layering normally thirty to fifty separate printings in many different colors because these have so many colors. 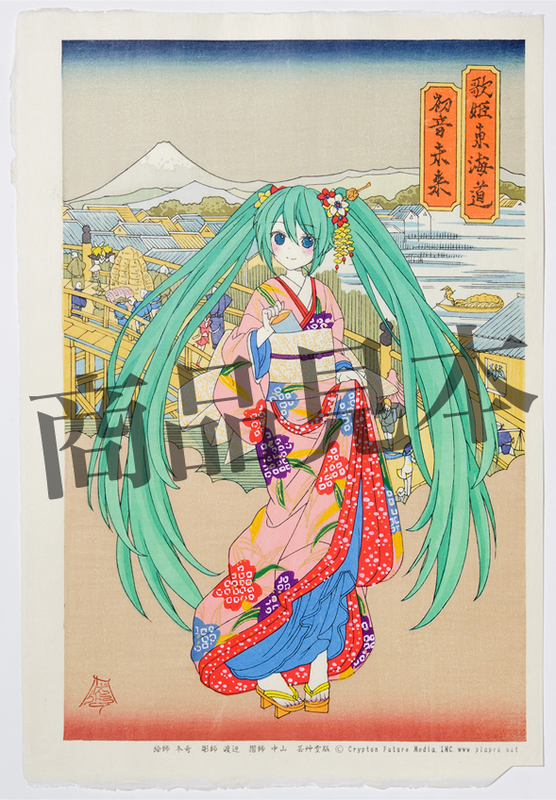 Dreams come true what virtual singer "Hatsune Miku" and Ukiyo-e artisans who inherit Japanese traditional technique for over four hundreds years from Era period, are now collaborating.They created "REAL" Ukiyo-e. 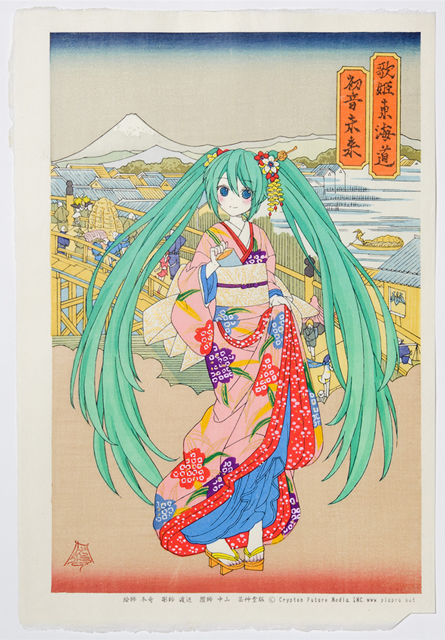 This Ukiyo-e is created by the best paper, it called "Washi" which is made by Living National Treasure. 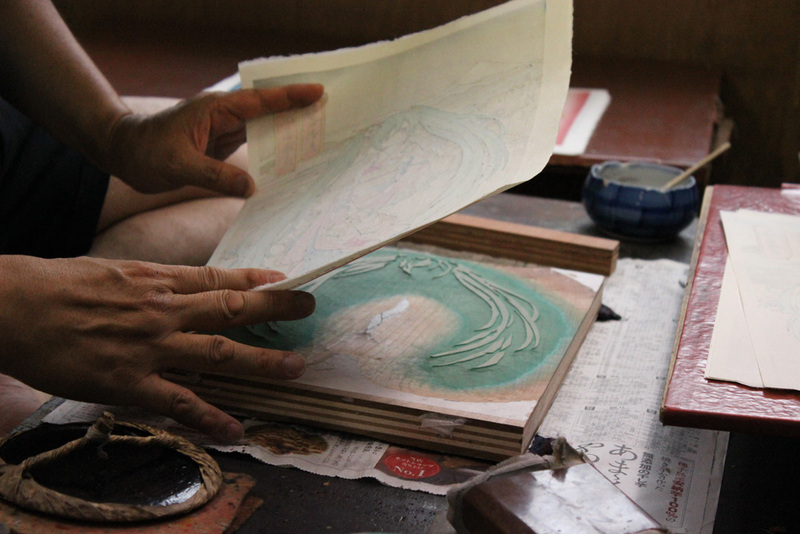 And also carving, printing and all progress to creating are perfect, because they increase to the limit. They did all of them handmade manually and politely. 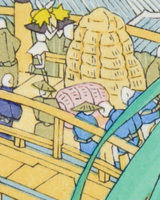 Ukiyo-e is Japanese precious cultural heritage and also evaluated from all over the World. So it's gonna be revived by the best technique and quality. Compositional arrange is pretty cool. 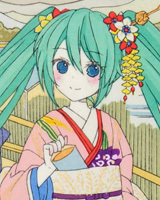 Miku is Japanese Kimono style with Mt. Fuji and Nihon-bashi, Edo for the background. 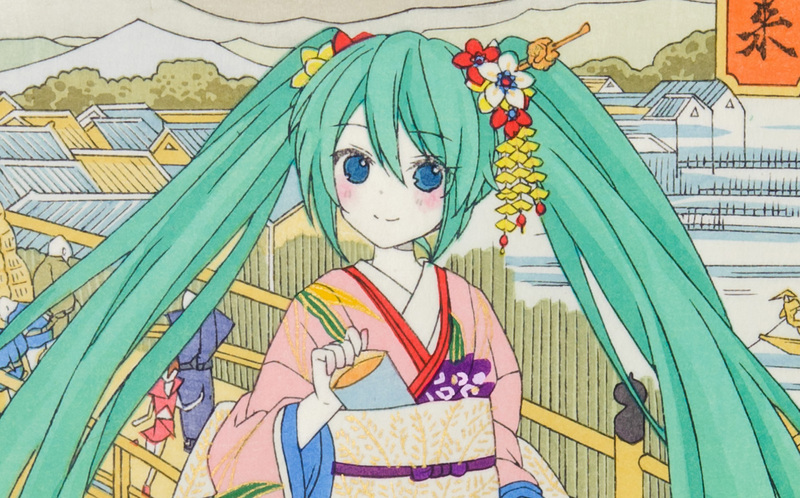 Miku is illustrated by Hobby Stock inc. and then the finishing strokes with background by Artist Touki from Kyoto. 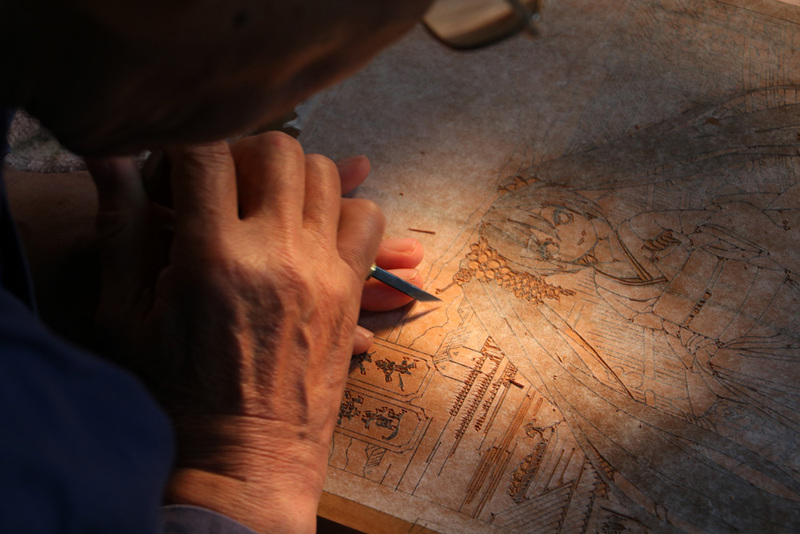 -Carving A flow of Miku's hair for less than 1mm are drawn by Ukiyo-e artist Mr. Watanabe. 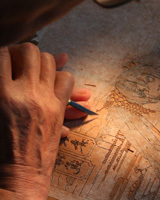 Woodblocks for outline are proof against all delicate work. So it is a single plate from cherry blossom which is very precious and unwavering. There is no waste for woodblocks. It expresses the colors as same as original ones. So it depends on a long experience for the sculptor. 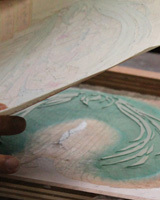 Woodblocks are 10 plates for each colors and also two sides of plates, 20 plates, plus one more woodblock for outline. The total is 21 plates for woodblocks. 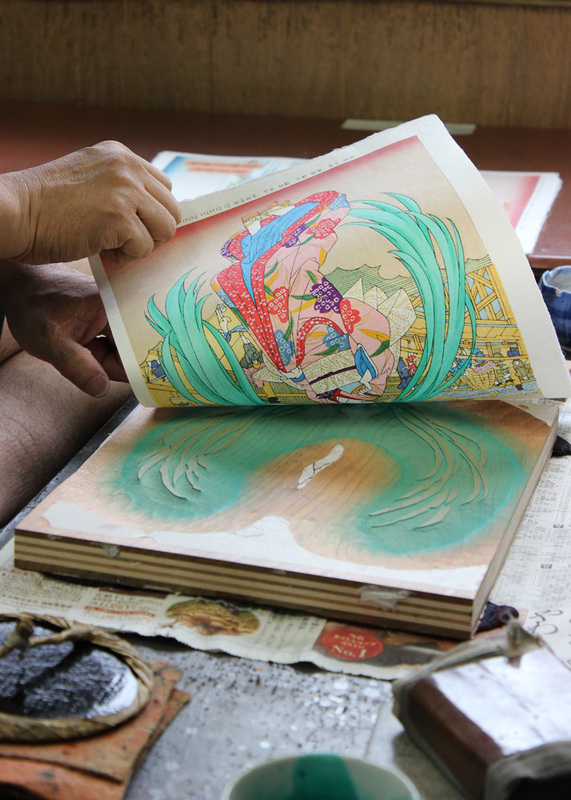 Printers are finishing them up to use the color of original drawings fidelity. They prints so many times, because they reproduces the small points and the background of gradations. They made the color while looking at original ones, and in order to lighter to darker. For the face, there are separate plates, which is outline and cheeks, line of nose, and rouge. If these are off to the side, or plenty of pigments, it is gonna be different one for compering original ones. It means pretty difficult points. These are printed by Mr. Nakayama from Sato woodblock lab. in Kyoto. 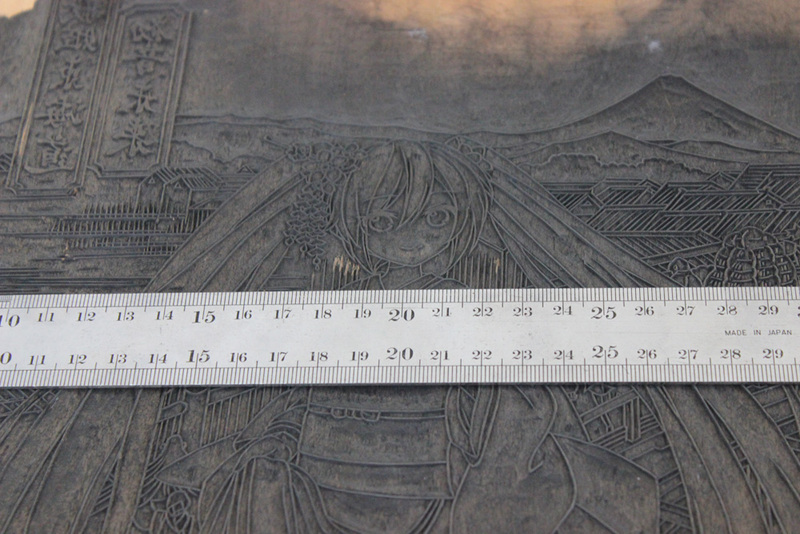 He printed for total 45 prints from 21 woodblocks. Washi is proof against 45 times overglaze. This Washi is Echizen Kizuki Hosho paper which is unstretchable and no gaps. "Iwano Ichibei Kizuki Hosho paper" This Washi is made by the ninth generations Ichibei Iwano, which is Nationally-designated Important intangible cultural property from 2000. This is not included wood pulp, it is just 100% camellia japonica. It means the best quality and technique, "歌姫東海道 初音未来" is now here. 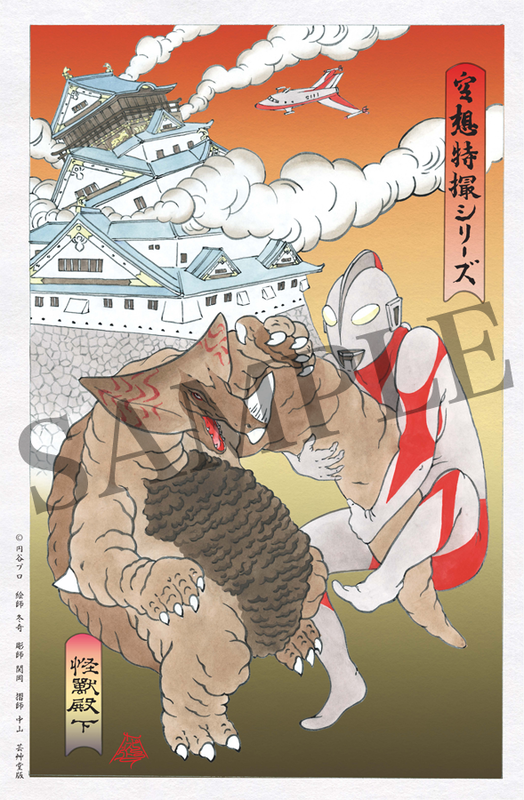 These are 100 more limited third prints for Japan and overseas. 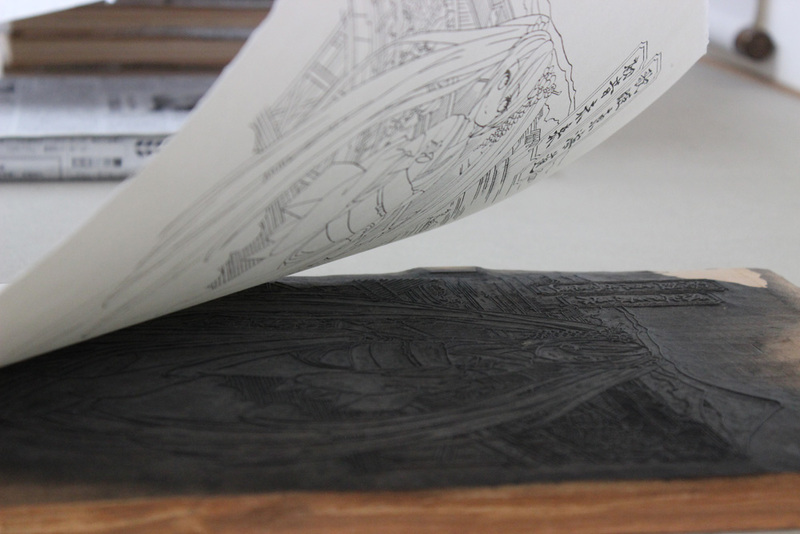 Wood block prints are not much difference until 400 prints. So it means it's totally same as the first prints. It says "第三版” at the blank for 100 limited the third prints. -Illustrated by Hobby Stock inc. 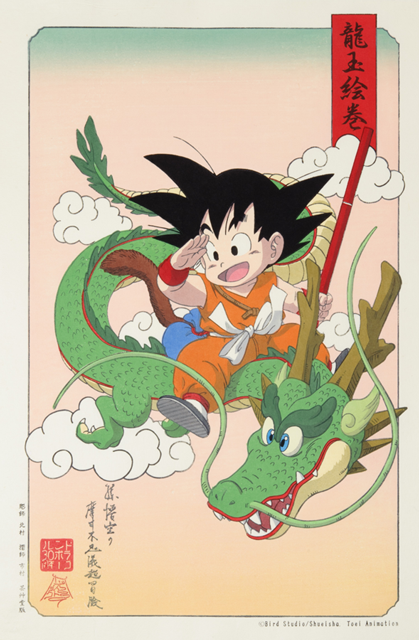 The craftsmen who inherit the traditional techniques over 400 years from Edo era, are collaborating with Japanese represent for TV animation "Dragon Ball" which is 30th anniversary. Ultraman was made into a Ukiyo-e which is based on "Kaiju Denka" - Episode 26th and 27th. 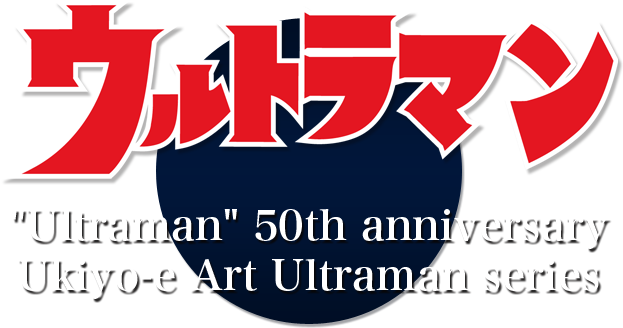 Kaijus and Extraterrestrials are used to resemble Yokais from Ultraman series. And then it made to Hyakuki yako-e.
“Alien Baltan “,” Nurse “,” Gavadon “,” Kemur”,” Alien Hipporit”,” Mochiron”,” Takkong”,” Nova”,” Alien Metron”,” Eleking”&” Pigmon” each Kaijus and Extraterrestrials are very creepy and also humorous, it means suitable for Hyakuki yako.